This holiday season we are doing something special for our patients! 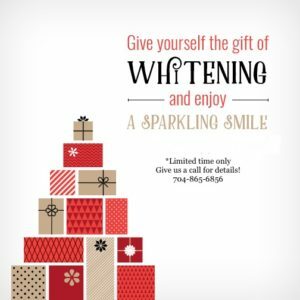 We are running a limited time special on whitening trays just for you! The way we do teeth whitening in our office is we make custom trays for your teeth and give you the whitening gel for you to use at home at your convenience. Give us a call and mention this blog post about the special! We are excited to hear from you!